Answer and place calls on hold with the round power button. Behind the left ear cup is a micro USB port for charging. An LED indicator will blink red when the battery is at 10%. Back-up aux cable: If you've transcended the need to sleep and your 15-hour battery needs charging, just plug in the included AUX cord with microphone and remote and never miss a beat. 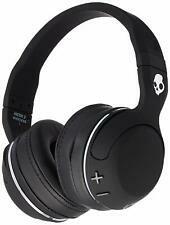 Skullcandy Hesh 2 Bluetooth Wireless Over-Ear Headphones with Microphone New! Hesh 2 is a comfortable and ultra-durable headphone designed to keep its big, powerful sound in, and unwanted noise out. Hesh 2 produces attacking, powerful bass; warm, natural vocals; and precision highs. 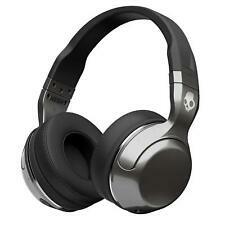 Skullcandy Hesh 2- Black Wireless Bluetooth Headphones. Condition is Used. Shipped with USPS Priority Mail. Like new. No packaging. Barely used. I have too many sets of headphones. Skullcandy Hesh 2 Wireless Headphones with In-Line Mic & Remote -Blue *S6HBHW515. Shipped with USPS Priority Mail. Skullcandy Hesh 2 Bluetooth Wireless Over-Ear Headphones - Black. Condition is New. . User guide and Skullcandy warranty. Headphones. 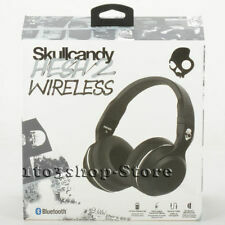 Skullcandy Hesh 2 Wireless Headphones. They were bought and use a couple times. They are in great shape with no missing pieces and a hard protective carrying case. Skullcandy Hesh 2 Over-Ear Headphones with Mic, Black. Shipped with USPS Priority Mail. Skull Candy Hesh 2 Wireless Supreme Headphones w/ In-Line Mic Black *S6HBGY374. Condition is New. Shipped with USPS Priority Mail. Factory sealed! These will be your new faves! Brand new in original factory packaging I’m happy to answer any questions - just message me! From a smoke free home PayPal only please If you purchase this item after Christmas Eve Day, it won’t ship until the new year! Hesh 2 Wireless is the Bluetooth version of our iconic headphone with a new sleek profile and plush, synthetic leather ear pads. New Skullcandy Hesh 2 Wireless Bluetooth Headphones, factory sealed in original box. HESH 3 Headphones (Tropical). Color: Tropical. Battery Type: Lithium Ion. Output: 5V / 4.8 A (2.4A Max per port). Driver Unit: 40mm. Special TV Instructions. 2 Years Parts / 2 Years Labor -Carry In Service. EAR PADS WORN OUT. We utilize warehouses across the Continental United States. All our products will have a unique hollow-gram warranty sticker. Once removed it will void your warranty. Trending at $25.62eBay determines this price through a machine learned model of the product's sale prices within the last 90 days. Whether you're commuting or pushing your board to catch class, Hesh 2 provides a premium music experience. Housed in a sleek design with simplified aesthetic, it proves that even the rebellious evolve. These will be your new faves! Brand new in original factory packaging. I’m happy to answer any questions - just message me From a smoke free home PayPal only please If you purchase this item after Christmas Eve Day, it won’t ship until the new year! Skullcandy Crusher Stereo Headset - Supreme Sound - Mic, 2 Amps = Super Bass !. Condition New.in sealed original box. Show your team spirit! These will be your new faves! 100% new in box. From a smoke free home PayPal only please If you purchase this item after Christmas Eve Day, it won’t ship until the new year! Suitable for Skullcandy HESH 2 HESH2 HESH 2.0 Headphones. 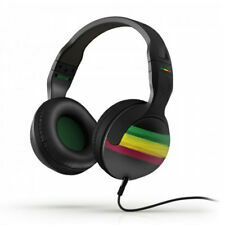 Compatible With: Skullcandy HESH 2. 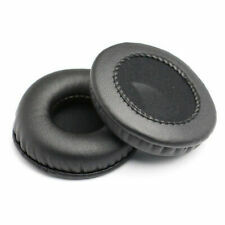 1 x Pair of Ear Pads. Quantity: 1 Pair. Net Weight: 0.6oz(17g). Size: 90mm(Approx.). Made of quality leather, soft, comfortable, durable and flexible. Skullcandy Hesh 2 Bluetooth Wireless Over-Ear Headphones w/Mic Remote - Black. Condition is Used. Preowned skullcandy hesh2 Bluetooth headphone in great preowned condition. Some cosmetic wear from normal use works great battery holds a long charge. Mic1 Remote. Soft Leather Touch Ear Pillows. Detachable Cable. This is the perfect addition to your headset collection or a great gift for your favorite music lover! Don't miss out on this excellent deal! Hesh 2 Wireless. Providing up to 15 hours of playback, these headphones wirelessly pair and stream music from any Bluetooth enabled device. Hesh 2 Wireless produces attacking, powerful bass; warm, natural vocals; and precision highs. They utilize large 50mm drivers to produce full-range frequencies with pronounced bass. Wired operation is made possible via the supplied aux cable. An LED with flash red when the battery status is at 10% or less. Skullcandy Hesh 2 Over-Ear Headphones Black. Mic1 - db collection - lets you manage your device. 2012 Skullcandy Hesh 2 Over Ear Headphones w/Mic1 NBA LA Lakers Kobe Bryant #24 White NIB. 50mm High Explosive power drivers will pump you with intensity like no other headphones. In addition, no representations of the manufacturer's warranty is made. Skullcandy Hesh 2 On Ear Headphones - Black. Condition is Manufacturer refurbished. Shipped with USPS Priority Mail. Whether you want to listen to music on the go or in the privacy of your home, Skullcandy Hesh 2.0 headphones are capable of delivering crisp, clear sound to your ears. Hesh 2 headphones come in a wide variety of colors, patterns, and designs, so you'll be able to find a pair on eBay that will suit your needs and tastes. 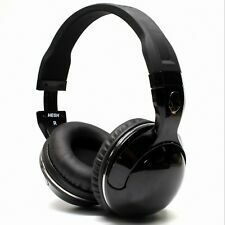 What are the main types of Skullcandy Hesh 2 headphones? Skullcandy Hesh 2 wireless: If you want to enjoy a wireless listening experience, then these headphones might be for you. Skullcandy Hesh 2 wired: These corded headphones draw their power from your music device via a detachable cable. Skullcandy Hesh 2 headphones with a built-in microphone: Some Hesh 2s include a microphone that is convenient for multiple uses. What are the specs of Skullcandy Hesh 2 wireless headphones? Bluetooth capability: The Hesh 2 takes advantage of Bluetooth technology in order to provide a wire-free experience. Durable headband: The adjustable headband helps to provide a customized fit on the head. Long battery life: Skullcandy Hesh 2s can last up to 15 hours at a time between charges. Microphone: Some wireless models of the Hesh 2 have a microphone built in for user convenience. An optional cable: Wireless Hesh 2s also come with a 3.5mm cable that can provide corded capabilities if the headphones' charge runs out. How do Skullcandy Hesh 2 wired headphones differ from wireless? Detachable cord: Wired Hesh 2s boast a 3.5mm cable that can be easily detached for convenient storage. Microphone on the wire: Wired Hesh 2s with microphones generally have them built into the detachable cable. In-line remote: This feature gives users the ability to control volume, track, and calling features from the cord. Content provided for informational purposes only. eBay is not affiliated with or endorsed by Skullcandy.